It’s no surprise why. Video content is some of the easiest to consume and video production is more cost effective than ever — you can shoot in high-quality, 4K video with your smartphone. There’s just one issue. When you don’t know what you’re doing, it can also be one of the hardest types of content to create. Jason Hsiao is the co-founder of Animoto, an easy-to-use, online video maker. He joins Adam to bring you some of his best tips for creating marketing videos that convert. If you’re ready to boost your sales with video, don’t miss this! In this noisy digital world, you can’t break through the noise, you just add to it. Instead, you need to get in on the conversation where your ideal customers are already listening. At its core, marketing is simply starting a conversation with someone who could be an ideal customer. Today, one of the most effective ways to market your business is Podcast Interview Marketing where you’re interviewed as the expert guest on podcasts your potential customers already listen to. If podcast interviews are on your marketing plan for 2019, don’t miss this episode! know it makes sense for your business. The problem is, anytime you think about creating a course, you stop yourself. You love the idea, but you’re overwhelmed by all that’s involved. What if you put in all of this work and no one likes it? The last thing you want is to create something that reflects poorly on you or your brand. Enter, Cindy Nicholson. They call her, “The Course Whisperer” and she joins Adam to bring clarity, calm, and tips around creating your online course. If creating a profitable online course is on your list for 2019, then don’t miss this episode! It’s time to toss that limiting belief out the window. 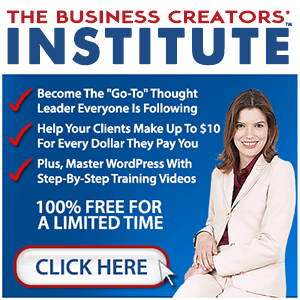 It is possible to make money, without spending a dime. Financial expert, Todd Tresidder, is going to show us how in this incredibly informative episode. If you’re ready to learn how ridding yourself of this limiting belief can benefit you, and what possibilities can it open up for (aspiring) entrepreneurs, then don’t miss this episode! The world is a buzzing trove of messages. Each industry touting the same tired spiel to a worn-out audience. How do you rise above the sea of sameness and stand out? Speaking…specifically on podcasts. 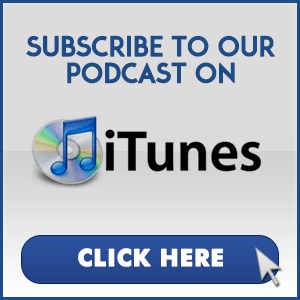 Podcasting is one of the top tools people use to showcase their expertise in a subject. Joining Adam this week is podcast expert, Nicole Holland. In 2016, Nicole launched her first podcast, not really even understanding what a podcast is and today she’s recognized as a leader in the podcast industry. If you’re ready to break free of the din of sameness and march to the beat of your own drum, this episode is for you! Enter, The Clean Sell. The Clean Sell helps entrepreneurs use the power of storytelling to transform their pitch into a closing machine. Dom Cappuccilli has helped hundreds of entrepreneurs to not only tell a better sales story, but also built many of their sales efforts from the ground up. He combines the power of a trained storyteller with the real world experience of an elite salesperson. 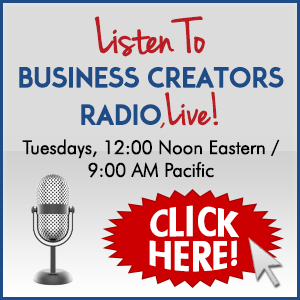 If you’re ready to clean up your sales act so you can generate more leads, tune in! a hamster wheel and life is just passing by? The workforce model is ‘broken’ and you could be robbing yourself of potential right now and don’t even know it. This week, Adam is joined by Vaughan Liddicoat. Triumph over adversity is Vaughan’s credo. With a childhood full of challenges, Vaughan learned quickly that the key to a successful, happy life isn’t achieved by following what the masses do. How to haul yourself out for good? If you’re ready to get out of the ‘rut’ race, off the online course hamster wheel, and into your intuition hacking zone, tune in. intentional and directed. Viral Leadership is lasting and creates a legacy of related ideas, projects, and solutions that transform even more than expected. It spreads from one person and group to another; making owners, managers, employees and the community stakeholders by generating buy-in and ownership of the leadership process and an enthusiasm for the vision.